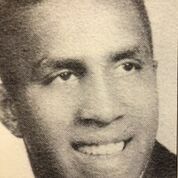 LeRoy Patterson was one of Maine’s greatest all sports athletes. He led the Bangor Rams in basketball under legendary coach Red Barry. The 6-foot-2, 190-pound forward, earned second-team all-state honors as a junior, then earned first-team recognition as a senior when he led Bangor to the 1962 Eastern Maine Class LL championship. Patterson finished his basketball career with more than 1,000 points, a relatively rare feat at the time for players at the Class LL (now Class AA) level. LeRoy accepted a football scholarship to the Univ. of Cincinnati and was named Most Valuable Player on his freshmen team. Upon returning to Maine, LeRoy further established his basketball bona fides by dominating the active semi-pro circuit for the next ten years.